$79.95 APC Back-UPS Pro 1500-10-Outlet Battery Backup 1500VA/865W-BR1500G-GOOD BATTERY! Buy: $139.99 APC BR1500G BackUPS Pro 1500VA 865W - New Batteries, 1Yr Wrnty, FreeShip! Buy: $107.99 APC Smart-UPS 1500 LCD SUA1500 Backup+Free Shipping & WARRANTY! Buy: $299.99 APC SMX1500RM2U Smart-UPS X 1500VA LCD RM 2U New Batteries, 1Yr Wrnty FreeShip! 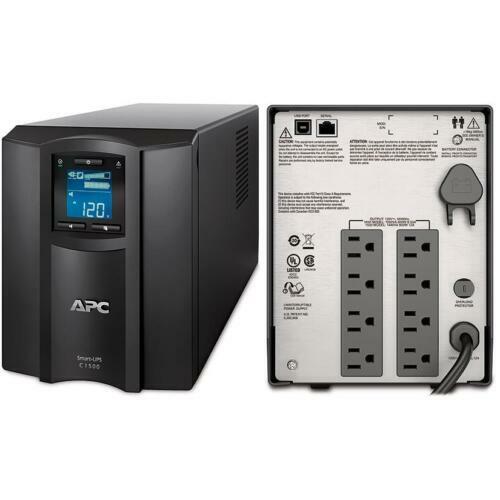 Buy: $599.99 APC Smart-UPS XL 3000VA RM 5U SUA3000XL - New Batteries, 1Yr Wrnty, FreeShip! Buy: $119.99 APC Back-UPS Pro 1300VA 780W BR1300G New Batteries, Refurbished UPS, Free Ship!